Android is open and that’s the reason why people are flocking to it. That is a general statement people make these days. As true as it may sound, not much truth is there to that statement. I have discussed it in detail in my earlier post. Yet another statement people blatantly make is Android is eating into iPhone’s market share. For starters Android and iPhone are two different things. iPhone is a phone, just like Droid or a Nexus S. Android is an operating system. Just like iOS. So, if we leave the apparent ignorance and construe the statement as Android is eating into iOS share, we still have a problem. There’s no data to support that. Arguments are based on some random observations of someone somewhere moving to Android and many people are planning to do so. Quite a few people have made these observations and I needed some data to either agree or disagree with those arguments. I digged into Gartner’s archives and few others to find out what’s going on. We can only compare data from 2009 because, that’s when Android came into picture. 2008 Gartner report doesn’t even feature Android as an operating system. HTC Dream, first commercial Android phone came out in October 2008. Apple had already sold 11.42 million iPhones in 2008. 3.0.1 Shipments : iOS vs Android. All figures are in hundred thousands. Apple sold 24.9 million iPhones in 2009, 46.6 million iPhones in 2010 and 16.8 million in the first quarter of 2011. 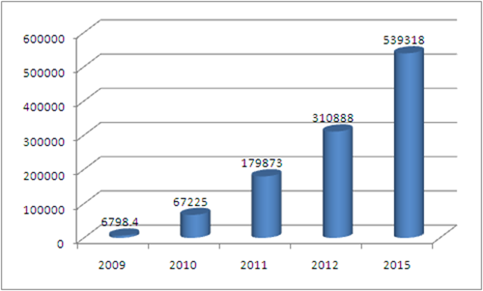 The number of Android powered phones sold in 2009 are 6.8 million, 67.2 million in 2010 and 36.2 million in first quarter of 2011. 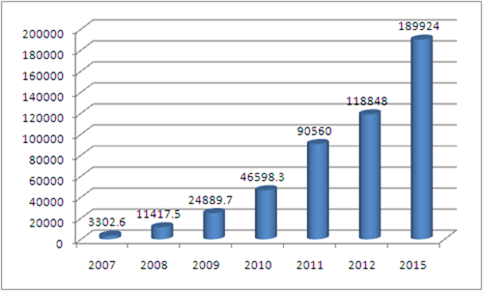 Android on other hand saw phenomenal growth from 2009 to 2010. It is a whopping 888% growth. During the same period iOS has seen a 87% growth. Not bad. 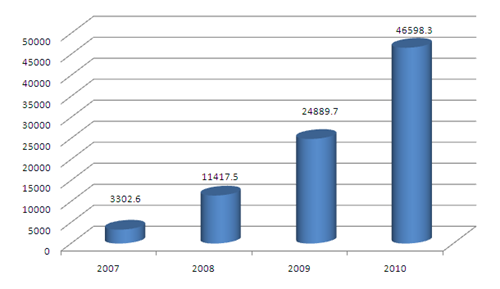 Year on year growth for iOS has been declining since 2008 but it is only expected as markets saturate. In 2008, iOS grew by 245%, in 2009 iOS grew by 118% and in 2010 iOS grew by 87%. 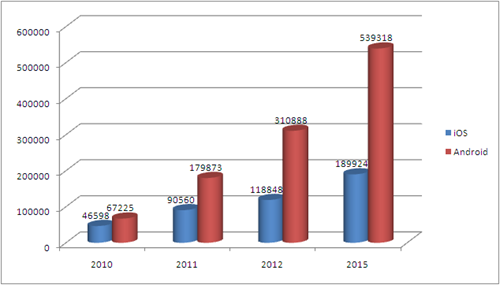 During this period overall smartphone market grew too. And the growth for Android was coming from this enlarged smartphone pie and of course the companies like RIM and Nokia were bleeding with their RIM OS and Symbian. There is nothing so far to believe that Android is eating into ‘iPhone’s’ market share. Let’s look at some future projections. Gartner has these predictions for the years 2011 to 2015. You will be amazed to see what goes on there. Android will not see a 800% increase every year. In 2011, Android will grow by 167% and iOS will grow by 94%. Going forward Android’s growth will slow down. Growth of iOS is also slowing down by 2015. Shipments : iOS vs Android. All figures are in hundred thousands. Growth rate : iOS vs Android. Figures in percent. 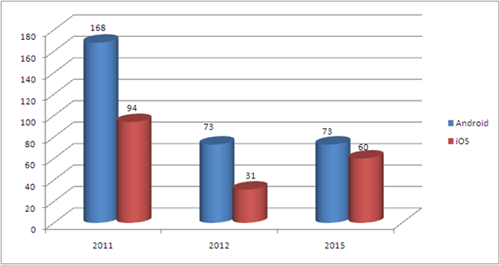 Note that the growth rate for 2015 is from 2012 and not 2014. Of the other operating systems, Symbian has a clear downward trend. Microsoft has an upward trend through to 2015 where it will become the second biggest smartphone OS after Android. RIM would still grow but not as much as is expected. Symbian’s fall will go in to Microsoft’s kitty and some might incline towards Android. iOS will hold on to its fort. If we combine the past data with future predictions and chart it for both Android and iOS, this is what it would look like. The numbers are in hundred thousands. iOS is seeing an impressive and steady growth over the years. Android and iOS follow the same growth trajectory. Yet another dimension which people choose to ignore is the price at which the Android phones are available. One can only dream of that prices for iPhones. The cheapest Android powered phone is available for less than $100 in India. A new iPhone costs at least Rs. 25000 . That glaring cost difference and the obvious targeted audience is grossly neglected in all the arguments. With this new price structure and bringing on low-cost manufacturers, Android has created new markets. Apple has never tried that and probably never will. HTC, Samsung, LG, Motorola and Sony Ericsson are taking care of the top-end devices for Android. Micromax, ZTE, Dell, Spice, Videocon are creating markets at the low-end. This is what is driving Android’s growth. The low-end segment will also be the catalyst for Android’s future. Eric Schmidt is in Asia to push Android even further. There is no denying that Android is going bananas. But Android isn’t doing it at the expense of iOS or iPhone. Android is either eating Symbian, RIM or creating new markets. More than eating, it is the new markets which is driving Android’s growth. India’s Jan-Mar 2011 GDP drops to 7.8%! Tata Motors turns Jaguar – Land Rover fortunes into Gold! Today people are helpless without apps. In fact, mobile or computer applications are needed at every step of our live. May it be business or may it be personal life, our life is not complete without mobile apps. And the blast of apps is only a proof of this growing demand of making life easier and less complicated. We all want things that are fast and help us to stay connected and help us to do our chores fast. You’re confusing two separate terms here, it’s quite possible to lose market share while at the same time increasing your sales, if other actors on your market are expanding faster than you are, you are losing market share. There are two companies, A and B, competing on a market. For the sake of simplicity there are no other companies on this particular market. One month both companies sell 100 units of their product so the total market is 200 units and each company has a 50% market share. The next month company A manages to sell 110 units (a 10% increase in sales). Company B also manages an increase, it sells 105 units which is a 5% increase in sales. The total market is now 215 units, having grown by 6.97%, of which company A now has sold 110 or 51.16% of the total sales in the market. Company B has 105 of those 215 units or 48.84% of the market. Company B has therefore lost a 1.16% market share but still managed to increase sales by 5%. Whether or not Android is eating into Apple’s market share I have no idea, I haven’t bothered with the numbers you published, I only wanted to point this out. DOnt forget one fact…Android is OS in at least 10 brands of Smart phones While IOS is in a single Phone that is iPhone. SO, these data dosent proove anything but the fact that Apple iPhone is still the King!!!!! Well, probably you can just say that thanks to the varied priced Android phones available (budget phones to exclusive phones), Android is catering to a larger proportion of the mobile phone market. Obviously, Android is competing against iOS (iPhones) in the premium segment only as iPhones are not available (and would never be) in the budget phone section.